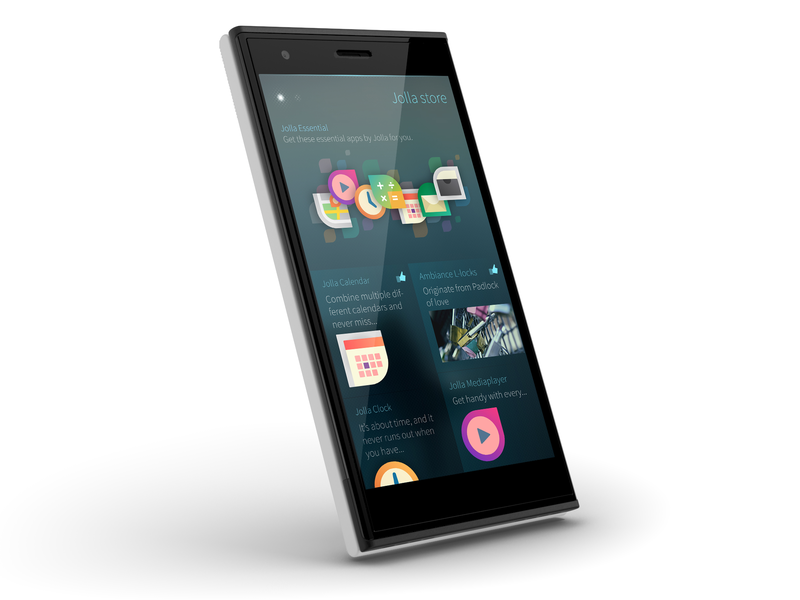 Two months ago I gave an initial review of the Jolla smartphone after one week of use. This is just quick update to the original post. A lot has happened in the meantime, two major updates have been released and SailfishOS is now officially out of beta. These updates have fixed many issues such as the power drain bug and added many new features including landscape support to the web browser and messaging app. MMS support has been promised for next month’s update. By then Jolla should have all the basic functionality covered. There has been a steady trickle of nice new native apps to the Jolla Market, including some familiar ones ported from the Nokia N9. And I have also made new discoveries in the Android app world, among others the F-Droid appstore, offering free/open source applications only. In my original post I claimed that the NavFree navigation app for Android worked well on the Jolla, but as it turns out I hadn’t tested it sufficiently. Instead I have found that the Android apps OsmAnd and MapFactor: GPS Navigation work quite well for gratis, offline, voice GPS Navigation. I still couldn’t be happier with my Jolla. One week ago today I received my Jolla smartphone. In case you haven’t heard of them, Jolla is a small upstart Finland based company, founded by former Nokia employees, and they just very recently released their first product, the much talked about Jolla smartphone, which can be seen as the successor of the Nokia N9 with the MeeGo operating system. Here’s my review. The hardware specs are midrange (1.4 ghz dual core processor, 1 GB of ram, 4,5″ screen, 16 GB data storage), and the Jolla is priced at 399,- €. So far it’s only available for sale in the EU via the Jolla webshop and additionally in Finland it’s distributed by one provider. The Jolla has an interesting concept called “The Other Half”. The back cover is replacable and communicates with the phone via NFC, this makes it possible for Jolla or 3rd parties to offer “Other Halves” in the future which add features to the phone, say wireless charging or a physical qwerty keyboard or maybe something radically new (if anyone is reading, I’m in the market for a green “Other Half” with rounded sides by the way). The feel of the hardware is decent. Not excellent, but not horrible either. 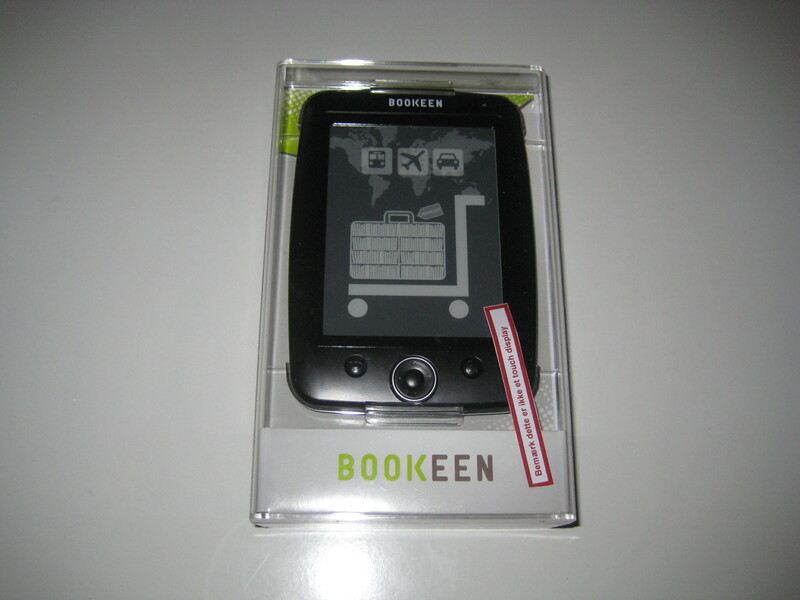 The battery is user replacable and you can insert your own micro-sd card. 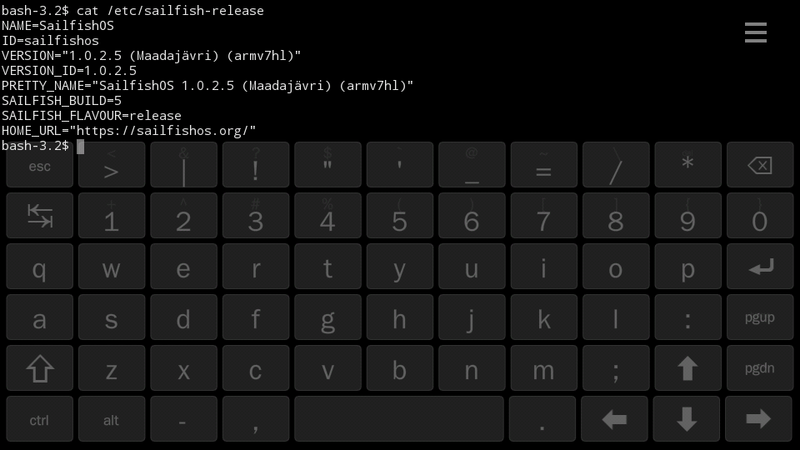 The Jolla is running SailfishOS, which is a GNU/Linux system, based on Mer Core (the continuation of MeeGo), using systemd and running Wayland. It comes with all the basic commandline utilities that you expect from a proper GNU/Linux system, and enabling developer mode in the settings provides you with a terminal, and offers you to set a root password and enabling an SSH daemon – no need to hack your own device to have a bit of control over it. Officially the OS is still beta. It includes some SUSE technologies e.g. libzypp is used for package management and Open Build Service is used in the development process. Zypper is not installed by default, but can easily be installed (‘pkcon install zypper’). SailfishOS provides real multitasking. When you minimize apps they will keep working in the background until you actively close them. 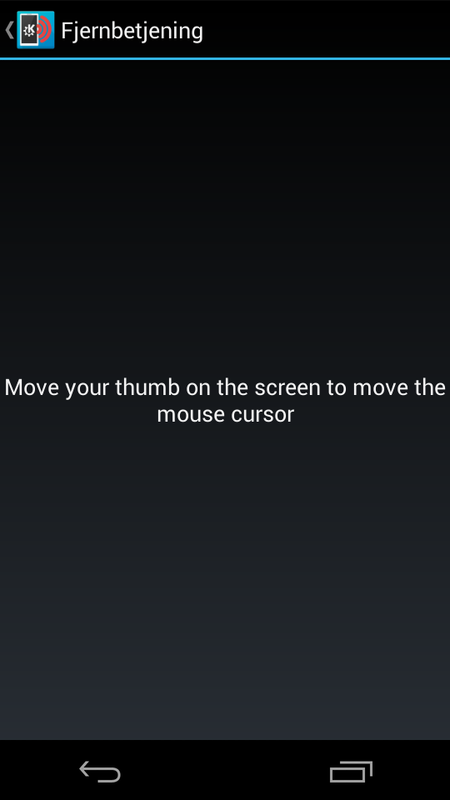 Interacting with the Jolla is done with swipe gestures, which is great for one-handed operation (e.g. swipe from the top to lock or close apps, swipe from the side to minimize apps, swipe from the bottom to see event notifications etc. ), much like the Nokia N9. But the Jolla takes the concept even further, with “pulley menus” and “cover actions” allowing you to perform certain actions on minimized apps. I absolutely love it. 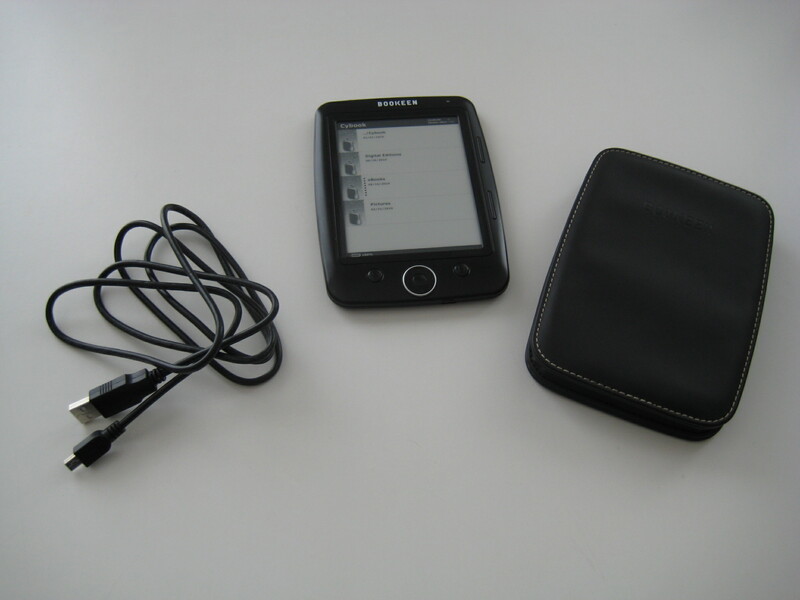 The UI is developed using Qt5 and it is incredibly fast and smooth. Significantly more so than the Nokia N9, which wasn’t bad either. Coming from the N9 there was hardly any learning curve migrating to the Jolla UI, but it might take more effort if you’re switching from a different phone. You should save yourself some time and trouble and check out the instructional videos to learn all the neat features. A few of which are not very discoverable. As you would expect from a brand new operating system, the number of (native) apps available for it is quite limited. And the apps which are available are still pretty basic. But they show quite a lot of promise and for me at least they get the job done. 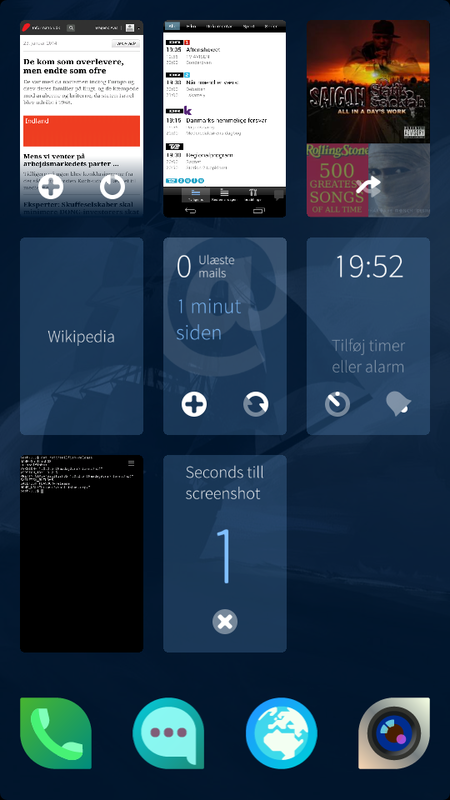 You can contribute by writing your own Qt/QML apps with the Jolla SDK of course. Additionally the Jolla comes with an Android runtime enabling you to install and run Android apps. By default the Yandex store is included which offers roughly 75.000 Android apps, you can install other Android app stores, such as Aptoide or even Google Play. Or you can acquire the .apk files and install them by simply clicking them in the File Transfers view, or by manually copying them to /data/app/ – I promise you it feels good to install Android apps on a non-Android device using ssh/scp. I didn’t try installing any paid apps. Running apps in a non-native environment usually isn’t optimal, and this is no exception. For me roughly 1/3 of the apps work flawlessly, 1/3 work with limited functionality (front camera upside down, only works with wifi but not with 3g, no sound etc.) and 1/3 are not usable at all. Usually the problems are related to hardware features (GPS, sound, cameras etc. ), i.e. apps not requiring hardware features are more likely to work well. 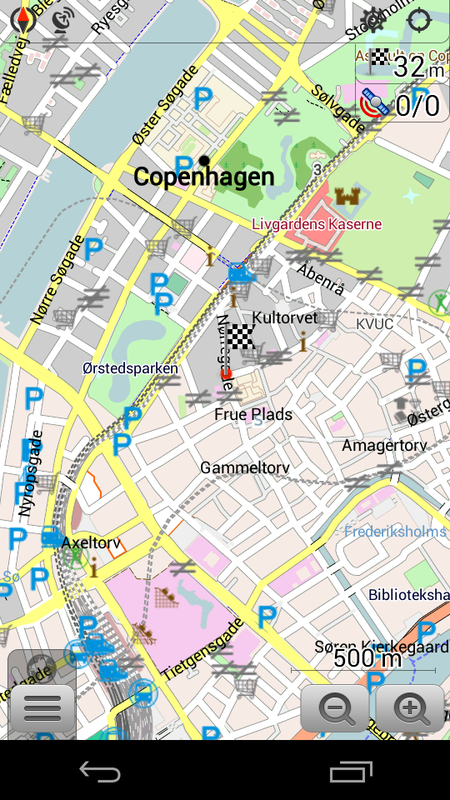 I did manage to find some useful Android apps which work very well, including Navfree, an offline, OpenStreetMap based voice navigation app. The Jolla Maps app does not have full fledged voice navigation, only route planning. Out of the box the battery life is not good at all. At the time of writing there’s a bug meaning the battery gets drained very quickly, luckily an official update fixing the issue should be out soon, and there is a fairly simple workaround in the meantime. Applying that workaround improves battery life significantly, and puts it on par or better, with the dominant smartphone brands, though still not quite as good as the Nokia N9. The Jolla is still missing some good power saving settings, so I manually turn off wifi/3g connections at night or in other situations where I don’t need them. Besides the issues mentioned above with battery life and apps, the Jolla has some more issues as you should expect from a brand new product, from a small upstart company running an OS labeled as a beta. When I got the phone it was unable to update, that was solved pretty easily, but still, this means SUSE Linux 10.1 is no longer the only OS in history too broken to patch itself. There are still some pretty dire limitations. No support for 4g and MMS (will be provided via updates later). The default web browser doesn’t support landscape mode yet (a WebKit based browser supporting landscape mode is availabe in Jolla Market), the sms/texting app also doesn’t support landscape mode yet, which means I’m unable to text using two fingers, luckily texting is not my main occupation, or this would be a serious problem. I actually bought the Jolla as an investment for the future and to support the company, even though my Nokia N9 is still good as new only two and half years old, and doing everything I need it to do just fine. I was unsure if the Jolla was ready to replace the Nokia N9 yet, or if it needed some time to mature first. But I very quickly retired the N9 and I’m absolutely thrilled with the Jolla. I’m happy to recommend it to any moderately technical and slightly forgiving user, for whom a few papercuts are not showstoppers. For aunt Tillie the Jolla is not quite there yet, but the potential is huge, and it will be very interesting to follow the progress. Ligesom mange andre er jeg ikke så glad for at læse større tekstmængder siddende ved min PC eller med min laptop i skødet. For at forsøge at løse det problem har jeg investeret i den Linux-baseredeCybook Opus e-bogslæser. Det er den samme læser som Gyldendal pusher, men jeg har købt min hos Linuxshoppen.dk. I dette blogindlæg vil jeg dele mine erfaringer efter et par ugers ejerskab. I nogen tid inden jeg besluttede at købe en e-bogslæser, overvejede jeg om jeg skulle satse på en tablet eller en e-bogslæser. En tablet-pc er naturligvis langt mere alsidig og har typisk en større skærm. Jeg valgte dog e-bogslæseren da mit formål er læsning, og e-bogslæseren er billigere, lettere, har bedre batterilevetid og den berømte E-ink-skærm som minder lidt om at læse på papir og fungerer godt i sollys – dog ikke helt som almindeligt papir, men læsevenligheden i stærkt lys kan måske sammenlignes med glittet papir. Cybook Opus kommer med et læderetui, et USB-kabel og en (dansk) opstartsguide. Der følger ingen strømforsyning med, selvom det anbefales at bruge strømforsyning mest muligt af hensyn til batteriets holdbarhed. Du kan oplade Cybook Opus ved at slutte den til en computer med USB-kablet, men den kan ikke benyttes når den er tilsluttet en computer. Heldigvis havde jeg en kortlæser med indbygget USB-hub og tilhørende strømforsyning, som fungerer fortrinligt som strømforsyning til Cybook Opus. Men har du ikke en strømforsyning med USB i forvejen, bør du måske kalkulere med at skulle anskaffe en. Der kræves desuden et microSD-kort for at kunne opdatere firmwaren. Et sådant havde jeg ikke i forvejen, men jeg manglede alligevel et til min telefon. Cybook Opus har det obligatoriske accelerometer så skærmbilledet automatisk roterer afhængigt af hvordan du holder læseren, men bortset fra det er der kun hel basal funktionalitet. Der er ingen wifi, ingen mulighed for at lave noter i tekster, ingen mulighed for at afspille lyd(bøger) e.l. Til gengæld er den enormt simpel at bruge og lidt lettere end konkurrenterne. Som standard leveres Cybook med en Adobe-firmware der understøtter epub (med og uden DRM), PDF (med og uden DRM), FB2, HTML og klartekst. Der er også en MobiPocket-firmware tilgængelig som understøtter PDF, PRC, HTML og klartekst. Tilsyneladende vil MobiPocket ikke tillade at man kan have understøttelse for deres DRM-format og andre DRM-formater på samme tid (der må gerne grines… eller grædes). Jeg har foreløbig kun prøvet Adobe-firmwaren. Cybook Opus er en almindelig USB Mass Storage-enhed, så overførsel af filer er som udgangspunkt helt uproblematisk – uanset platform. Lidt mere om dette senere. For mig var hovedformålet at læse diverse dokumenter, og kun i mindre grad at læse bøger. Mange manualer, tidskrifter, magasiner, rapporter m.m. fås kun/nemmest/billigst i digital form og jeg ville gerne kunne læse dem komfortabelt i min lænestol, på altanen eller i sengen eller andre steder – uden generne og distraktionerne ved at læse ved en PC – og jeg er for nærig og økofascistisk til at printe det hele. Jeg havde dog overvurderet 5″-skærmen en smule. Det viste sig at være urealistisk at læse de fleste PDF-dokumenter på den, selv hvis du vender e-bogslæseren i landskabsformat. Zoomer du ind, vil du skulle side-scrolle konstant, hvilket er langsomt og batterikrævende med en E-ink-skærm, så det er heller ikke en gangbar løsning. Heldigvis kan langt de fleste PDF-dokumenter nemt og hurtigt konverteres til f.eks. epub-format med ‘ebook-convert’ fra Calibre. Formateringen bliver naturligvis ikke 100% optimal, men resultatet er fuldt tilfredsstillende for mig. PDF’er med to kolonner håndterer ‘ebook-convert’ dog ikke ret elegant, så i de tilfælde har jeg måttet ty til ‘pdftotext’ fra poppler-tools (i de fleste tilfælde har det været nødvendigt at bruge tilvalget ‘-nopgbrk’). Billeder m.m. går selvfølgelig tabt, men bortset fra det bliver resultatet ganske læsevenligt på Cybook Opus. Jeg har også hentet en del HTML-sider og læst dem på læseren med godt resultat. Læsning af bøger var som sagt et sekundært formål for mig. Cybook Opus leveres med et antal klassiske gamle bøger på engelsk, hvor ophavsretten er udløbet. Mange flere af den type bøger kan downloades gratis uden DRM forskellige steder på nettet, f.eks. hos Gutenberg-projektet – herunder en del på dansk – eller via EOD-projektet. Vil du låne e-bøger fra danske biblioteker eller måske ligefrem købe dem hos Gyldendal eller andre, bliver det lidt besværligt, der kræves nemlig et Adobe-id samt programmet Adobe Digital Editions, som kun fås til Microsoft Windows og Mac OSX. Det fungerer dog problemfrit med WINE , med én lille undtagelse – det ser ikke min Cybook Opus! Man kan altså uden nævneværdige problemer læse DRM’ede e-bøger med Adobe Digital Editions på Linux, men vil man overføre bøgerne til sin e-bogslæser lader det til at man enten skal bruge en maskine med Microsoft Windows eller Mac OSX – eller fjerne DRM-restriktionerne. Personligt har jeg svært ved at forestille mig at blive fristet af at købe e-bøger med DRM, men jeg kunne måske godt have fundet på at låne nogle. Alt i alt er jeg ganske tilfreds med min Cybook Opus. Den gør det jeg skulle bruge den til, og den gør det rimeligt effektivt. Jeg er allerede ved at få læst en del af de dokumenter jeg hidtil har udskudt i det uendelige, fordi jeg ikke kunne motivation til at læse dem på en PC. Jeg håber ovenstående er til hjælp for folk der går med overvejelser om at købe en e-bogslæser, men har visse betænkeligheder – dvs. folk som er i den situation jeg selv var i, indtil for tre uger siden. Microsoft-skatten – hvad gør vi? De fleste kender selvfølgelig til problematikken. Det er vanskeligt at købe en bærbar computer uden at der følger et styresystem fra Microsoft med – det er træls at skulle betale en merpris for et styresystem man måske ikke ønsker at benytte – måske er det endda ikke kun et økonomisk spørgsmål, måske ønsker man ikke at støtte Microsoft fordi man ikke bryder sig om deres produkter eller forretningsmetoder, eller måske fordi de er den største konkurrent til et styresystem, man selv er engageret i. Spørgsmålet er så om der skal gøres noget ved problemet, og hvad det eventuelt kunne være. Poul-Henning Kamp kører for tiden en meget omtalt sag mod Lenovo for at få pengene retur for en Microsoft Windows-licens der fulgte med en computer han købte. Selv når PHK forhåbentlig snart får medhold i sagen, vil problemet desværre nok ikke være løst på længere sigt – blandt andet pga. ændringer i EULA’en for Microsoft Windows 7. At løse problemet ad politisk vej gennem EU eller Folketinget kræver nok en større lobby-indsats end vi kan mønstre. Selvfølgelig bør vi alligevel benytte enhver lejlighed til at minde vores EU-parlamentarikere/-kommisærer og folketingsmedlemmer om problemstillingen – for en ordens skyld. Hvis vi ikke kan løse problemet på retsligt eller politisk niveau (“top-down”), kan vi i stedet forsøge at gøre det som fri software-communitiet historisk set har været bedst til – at gøre verden bedre “bottom-up”. En markedsbaseret tilgang vil naturligvis også være vanskelig, ikke mindst fordi markedet for styresystemer fungerer rigtigt dårligt – men det er måske værd at prøve med en stærkere og mere koordineret indsats end tidligere. Først og fremmest bør vi som community og foreninger gøre en større indsats end hidtil, for at bakke de få spredte forhandlere og producenter op, som faktisk tilbyder bærbare computere enten uden styresystem eller med et alternativt, billigere styresystem end MS Windows. Skriv gerne kommentarer hvis du kender til andre forhandlere af bærbare computere i Danmark med dansk tastatur og uden Microsoft Windows præinstalleret. Måske kan vi handle endnu mere proaktivt, måske kunne vi nedsætte en form for arbejdsgruppe på tværs af relevante foreninger som SSLUG, BSD-DK, DKUUG m.fl. – måske ville det også være interessant for IT-Politisk Forening, Prosa og lignende. Denne arbejdsgruppe kunne tage kontakt til forskellige producenter/forhandlere og måske tilskynde til salg af maskiner uden styresystem. Jeg mener trods alt at vi har noget at handle med. Vi repræsenterer tusindvis (titusindvis?) af personer – som formentlig har et over-gennemsnitligt forbrug af computer-hardware, og desuden ofte fungerer som rådgivere og supportere for andre i IT-spørgsmål – og nogle har formentlig endda en vis indflydelse på IT-indkøb på deres arbejdspladser. Vi ville kunne tilbyde en betydelig mængde goodwill og gratis positiv omtale – evt. via vores foreninger og konferencer. Det eneste en forhandler/producent skulle gøre til gengæld ville være at tilbyde nogle udvalgte modeller til salg uden styresystem – evt. via en form for gruppekøbsordning. Og der er sikkert ingen der ville beklage sig hvis producenten stak halvdelen af en besparelse på OEM-versionen af styresystemet i egen lomme. Har i andre/bedre ideer? Eller skal/bør vi bare acceptere status quo?